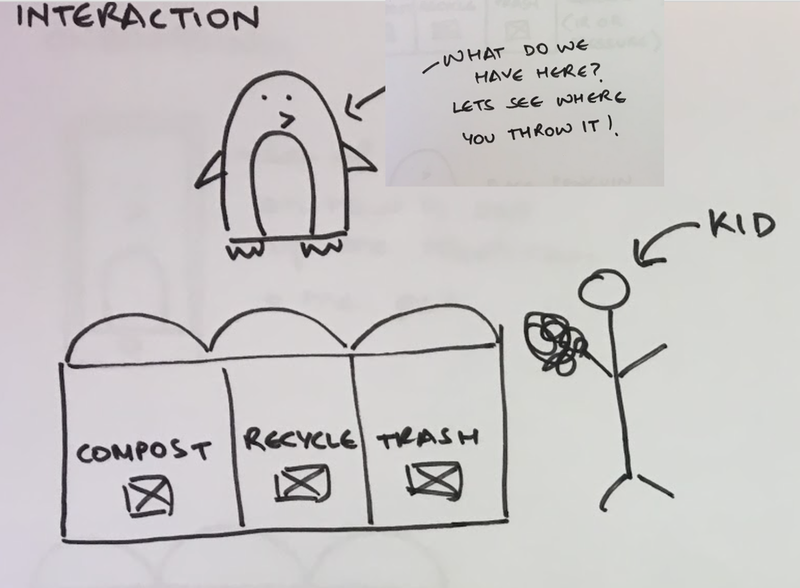 An interactive toy that uses computer vision to educate kids on how to sort and reduce their trash. I started my thesis by asking myself, how can an individual reduce their carbon footprint? For this reason, I started very broad. I knew that I wanted to do something in the realm of reducing our collective carbon footprint but nothing beyond that. At the beginning, I did extensive desk research. This helped me map the current landscape of problems and solutions that were out there in this space. I also did my best to list down the reasons why those specific problems existed. The more information I gathered, easier it became for me to group them. Since this problem is huge and intimidating, I found it hard to see what I could do to as a designer to make a difference. So I started looking at current solutions to gather inspiration and get in the right mindset. These solutions ranged from services, crowdsourced websites for petitions, physical products, apps, wearables, game etc. 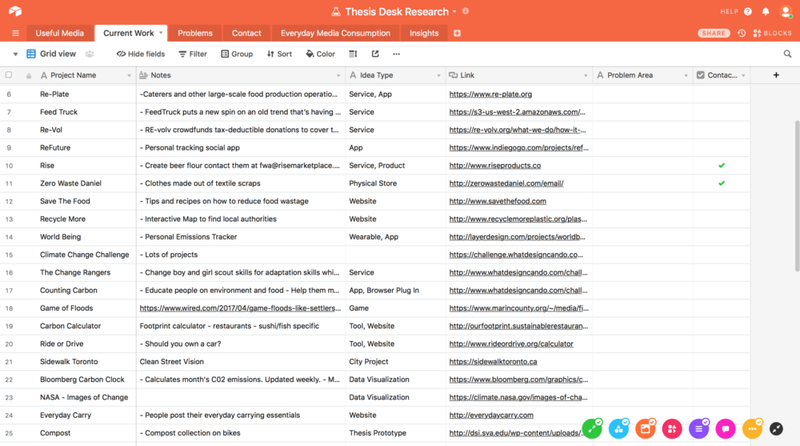 Documenting everything I researched was one of the best things I did, since it became very easy for me to go back to specific articles, products or even insights I had obtained over the past one year. Two researchers from British Columbia did research on top 20 things individuals can do to reduce their carbon footprint. This was a tipping point for me. 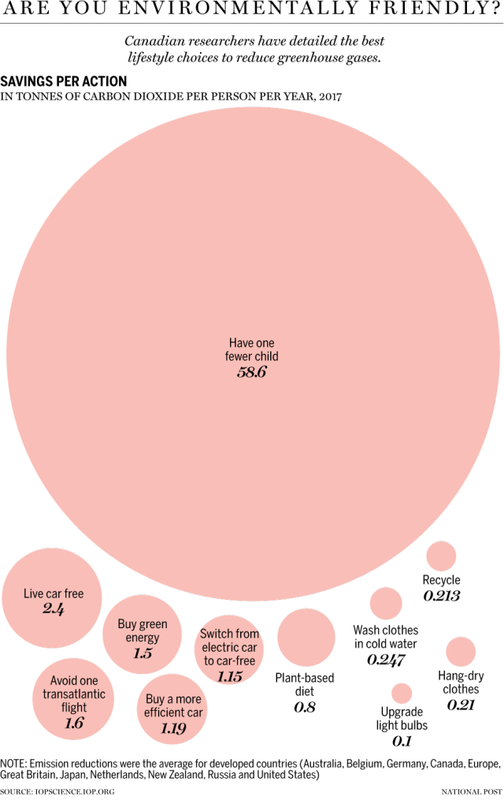 I was shocked by the impact one fewer child can have on the environment but I also was mindful of the fact that all these 20 things can save tonnes of CO2 from being release per year. The urgency of the situation made me believe that each and everyone one of these activities have a huge impact. After going through the British Columbia study, I didn’t want to make any assumptions about what people thought about those lifestyle changes. For that reason, I went to Union Square to talk to people about them. We placed all the cards on the table and asked people to arrange them on the level of diffi culty to perform them on a daily basis. The categories were: Easy, Medium and Hard. I then asked them flip the cards of the activities they currently did. On the backside of each card was the amount of carbon dioxide (in tonnes per year) saved on performing that activity. Based on the cards they fl ipped, we calculated the amount of carbon dioxide they currently saved (in tonnes per year) and wrote it on a button which they could proudly wear. Now that they were aware of the impact of each lifestyle choice, we asked them to pick something that they were willing to try doing in the future. This public engagement was a very insightful exercise. It not only helped me understand what people thought about climate change but also what they were willing to do help reduce it’s impact. I found out that recycling and to some extent composting was something people didn’t currently do but were willing to try out. When asked why they didn’t already do it, I gathered a wide range of reasons. This really surprised me since there are recycling pickup facilities in most neighbourhoods in New York. I learnt that while people generally understood the benefits of recycling and composting, lack of knowledge and convenience came in the way. To identify and resolve my assumptions, I started tracking my own trash to understand this problem better. I created a database where I started documenting all my trash — from stuff I used in the bathroom to food. 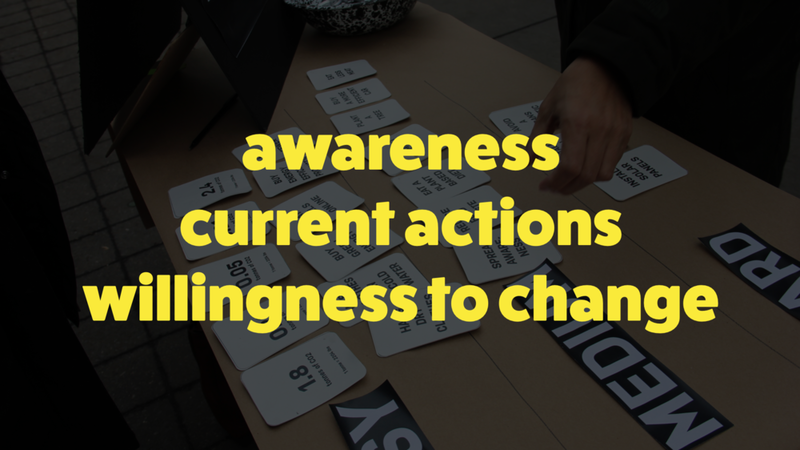 I saw that this made me hyper aware of my everyday actions which resulted in my behaviors to change. 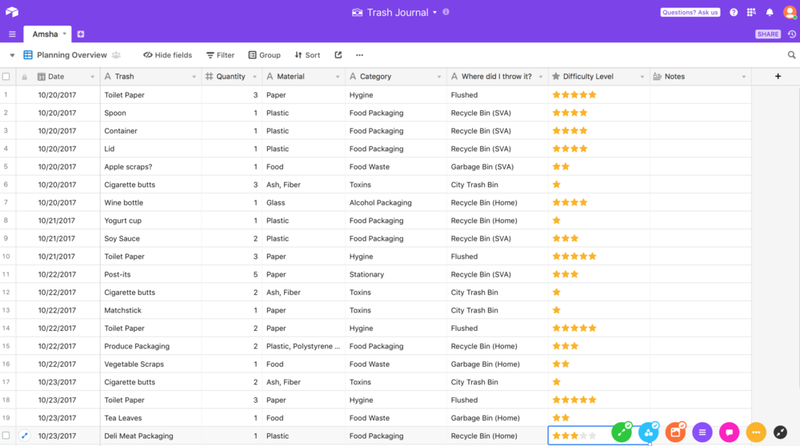 I created a super low fidelity solution where I got 9 people to agree to track their trash, I sent them at email to get them on board and give them an overview rules. The first thing I did was send them a survey asking them about their daily habits to understand how eco friendly they thought they were vs what they actually did. After this for the next 7 days, I sent them emails and texts educating them about where our trash comes from and where it goes and reminding them to send me their daily trash log. Some were clearly better than others because out of my nine friends only 4 filled in the daily log. The others were too busy. And as the week progressed, out of those 4 friends, they dropped one by one until only one friend filled in her trash for all 7 days. This was not surprising at all because manually filling data is hard but this was an assumption that I made which cleared out. Buddy system helps. People like talking to other people going through the same experience. Support group with lots of people is not a good idea — there are some personal conversations. Manual tracking is hard. Very hard. While I was struggling to change habits adults, further research about habit formation suggested that routines and habits in children, including household chores and responsibilities, are unlikely to vary after the age of 9. I also realized that kids emulate their parents and hence, the cycle of same habits being passed down to the next generation continues. I saw this as an opportunity to break that cycle and empower the future generations to make a difference. Why not start with kids? Change their habits to influence adults and change the way things work at home! 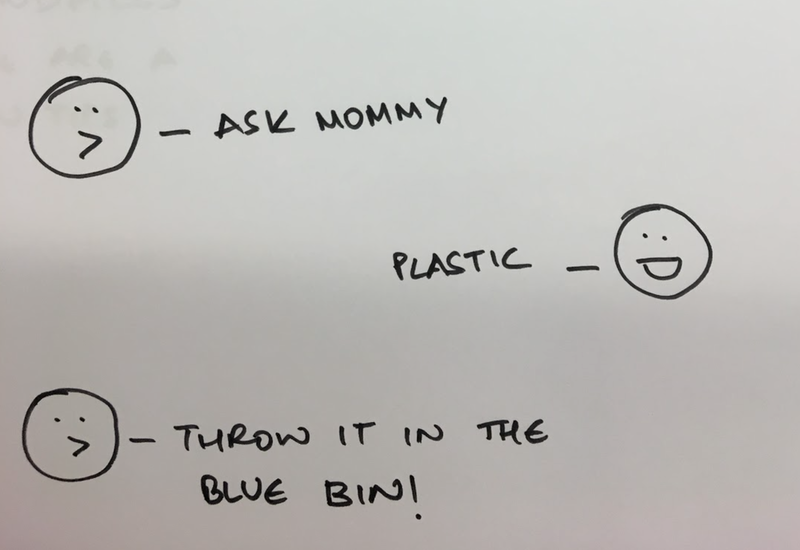 How to talk to kids about trash? 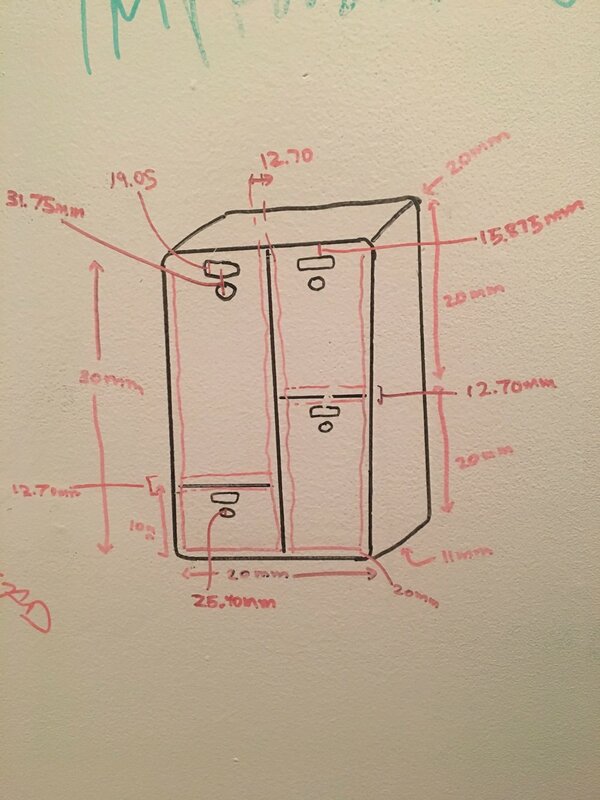 Before I designed a solution, I wanted to understand how kids were currently taught about waste disposal. 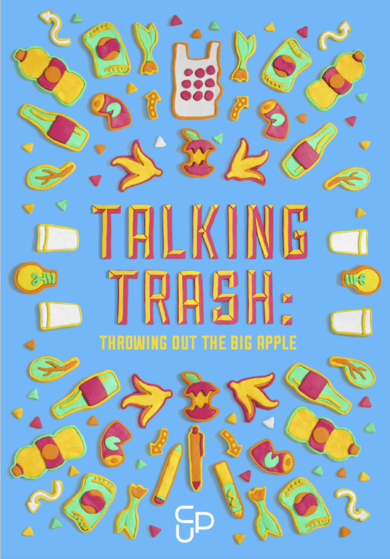 While researching, I found out about a Talking Trash. 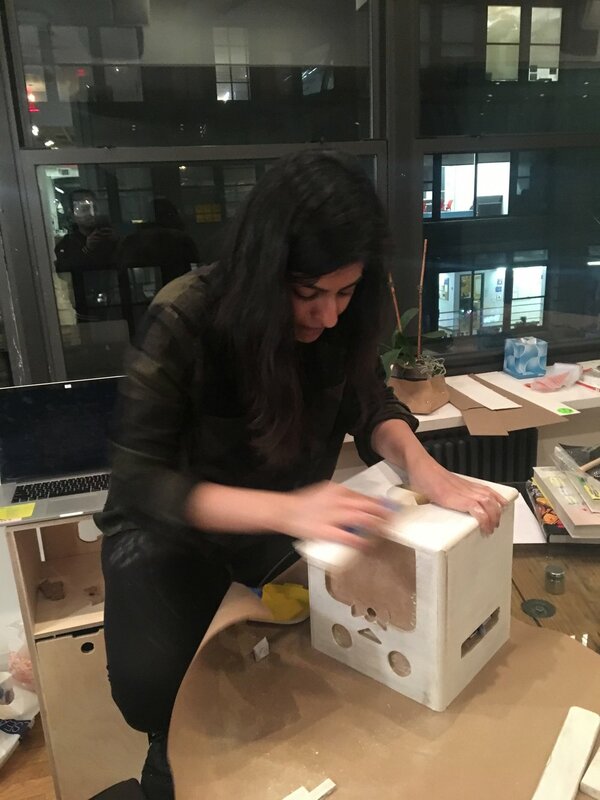 A curriculum guide created by Center for Urban Pedagogy, New York, for educators that consists of hands on activities and extension lessons exploring the journey of trash, from what we consume to where our trash goes after it’s thrown away. I volunteered at CUP for a few days and attended a workshop on how to talk to kids about trash. 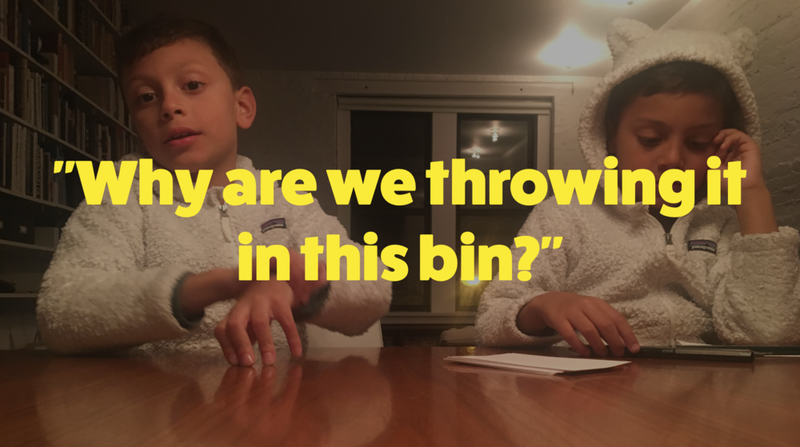 Through competitive research I also found out that there are many ways that kids learn about trash and how to sort it but very few help in making sure this converts into a lifelong habit. Help seperate household trash and eventually facilitate reduction of garbage at home. 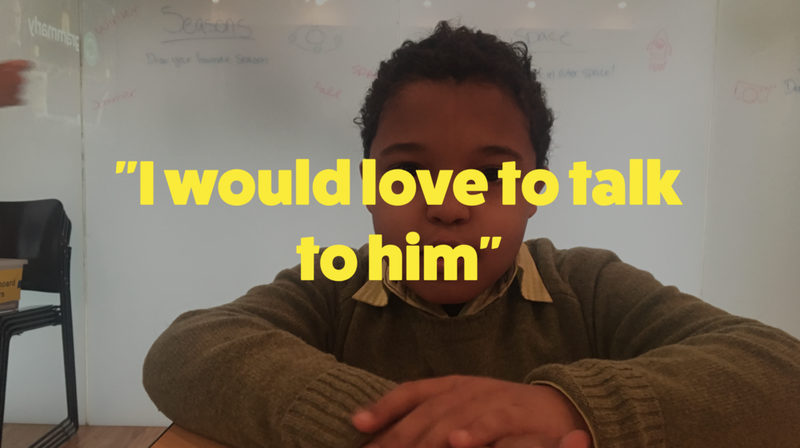 Educate kids by providing them with instant real time feedback on their actions i.e. throwing trash in the right bin. Involve parents by nudging them to talk to their kids about important concepts like landfills, global warming, composting etc. Right now I am exploring different technologies (computer vision vs Alexa), sensors (Load cell vs Infrared sensor) and interactions (Voice vs Physical Object vs App) to see what might be the most effective solution. When approached, the kid sees the penguin waving at it and sees clearly marked stickers representing each bin to make it easy for the kid to understand what goes where. If the kid is still confused, he or she can place the object in front of the penguin, the penguin lights up one of the bins instructing you to throw it in there. And so when the kid throws something in recycling or composting bins — the penguin is happy. So if you placed a glass bottle in front of Pengwin, it will flutter it’s wings really fast (there would be sound to support that). And when you throw something in the trash bin for example a textile — glove. Pengwin moves its wings slowly and is really sad (sound would support that too). Pengwin expresses it’s sadness by not moving it’s wings and by just sitting there still. Pengwin will also come with a series of storybooks that will cover different topics such as: Where is Pengwin from? 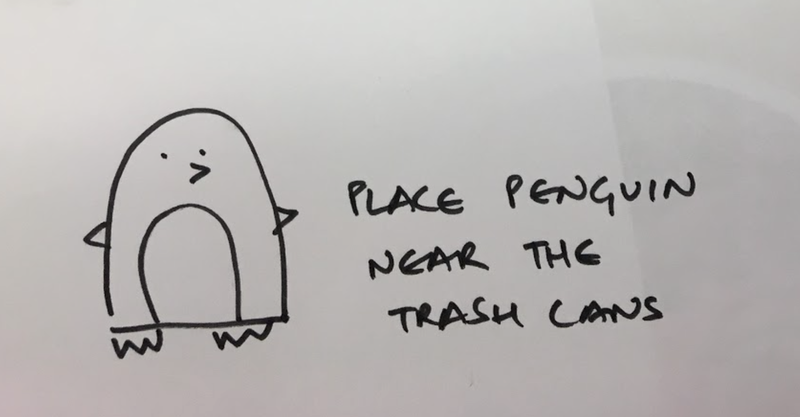 Why does Pengwin care so much about waste? Where does plastic come from? 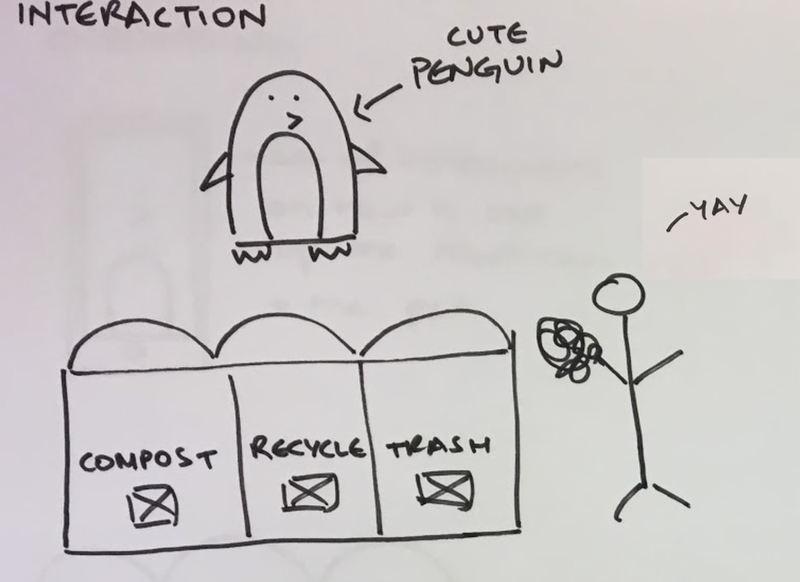 Why is Pengwin so concerned with landfills? The idea is that either the kid will read it alone. Or even better, parents will read it to their kids. For this prototype, I hand-sowed the penguin and then used servo motors to move it’s wings. To detect objects in bins, I used PIR sensors. I also played around with load cells that can detect weight. Pengwin is an interactive toy that teaches kids age 6 to 10 on how to sort and reduce their trash. In the long run, Pengwin makes sure that this becomes a habit. 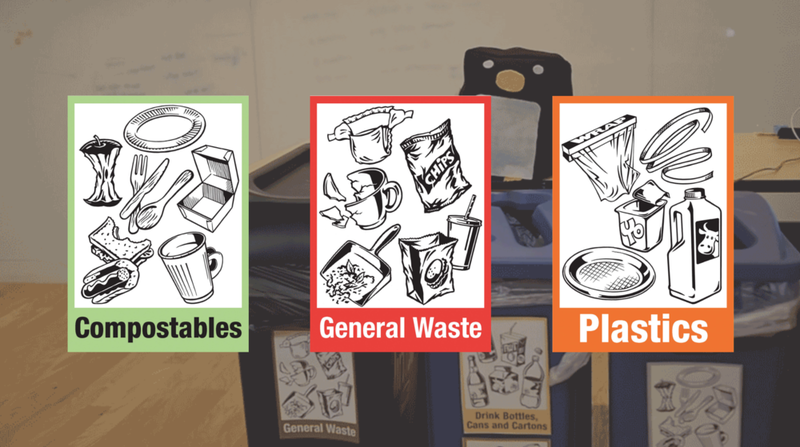 Pengwin sits on top of a compact waste unit that consists of 4 clearly color coded bins. On the technical side, there is a camera in Pengwin’s bow that helps it detect different objects using computer vision. Using Pengwin is an easy three step process. Kids scan the object, Pengwin then tells kids which bin to throw the object in and then Pengwin will help kids learn positive habits through it’s reactions and suggestions. To activate it just say "Hey Pengwin"
Place an object in front of the Pengwin. The blue bin lights up as well. 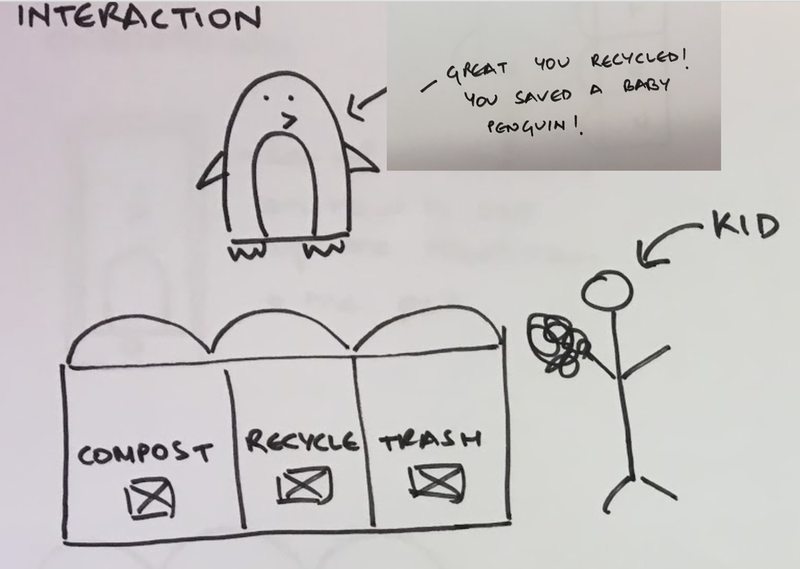 And since recycling makes Pengwin happy. It gives the kid some positive reinforcement. But what if the bottle is thrown in the wrong bin? There is no need to worry. Pengwin will help the kid course correct. But thats not the only thing Pengwin does. From time to time, it gives suggestions on how objects can be donated or upcycled instead. And kids will be kids, so sometimes they scan funny things. Even though, Pengwin may encounter unknown objects. As more and more people use Pengwin, through a connected database of all households Pengwin will keep learning and keep getting smarter. 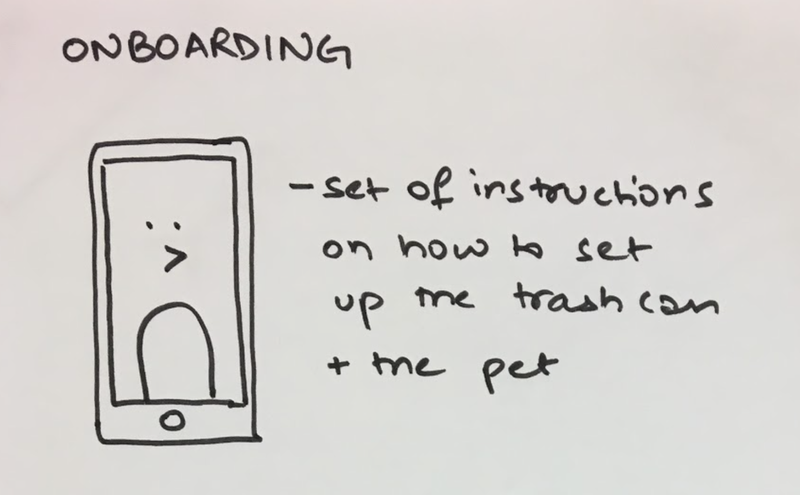 Along with this, to make sure that kids stay engaged and on track, Pengwin comes accompanied with a iPad app where kids can set weekly goals, learn more about items they throw in the bins. They can also view stories to learn more about this pengwin - here does it come from and why it cares so much about trash? 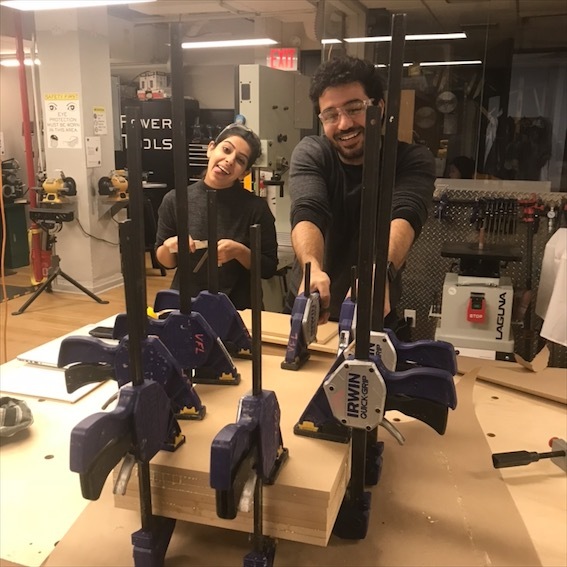 Since this was a year-long thesis project, I learnt innumerable lessons from defining my design process to understanding how to design and test with kids. 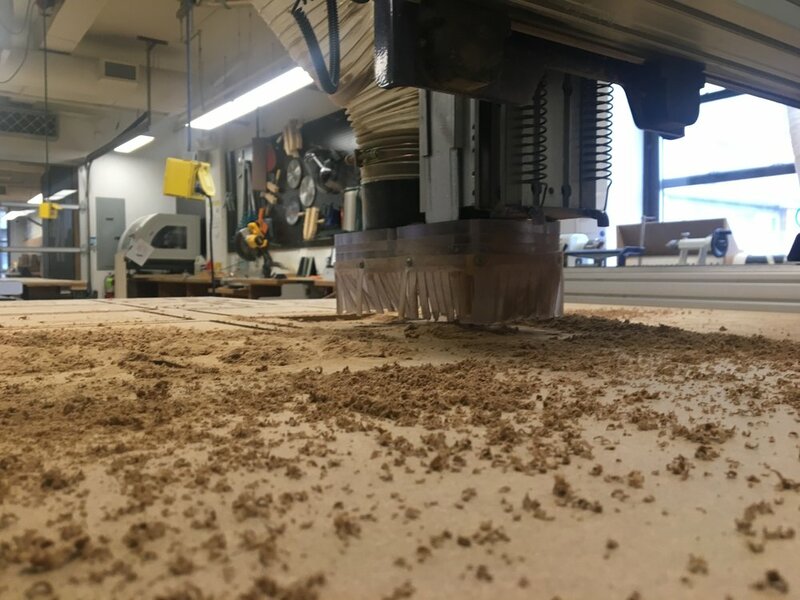 I learnt how to use Fusion360 for renderings and got comfortable with working with wood. 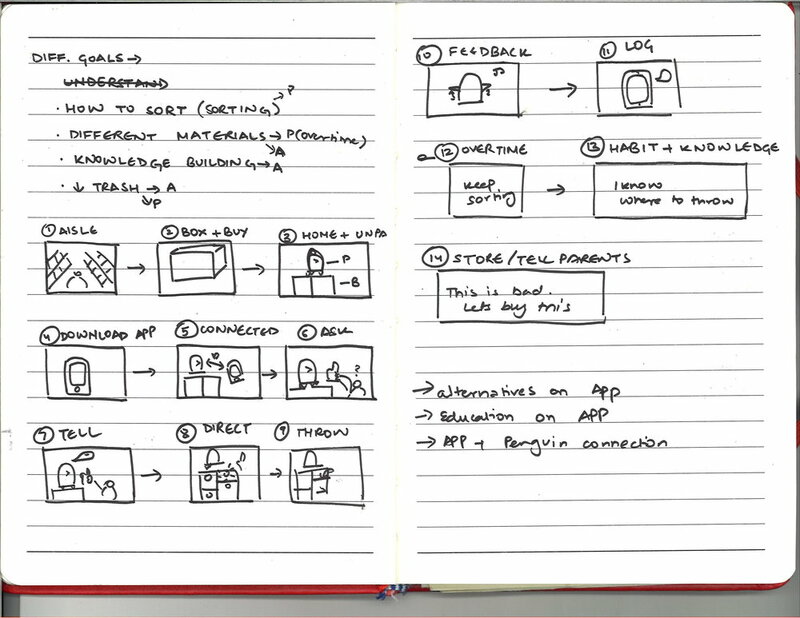 I also learnt how to design interactions for a physical object. I journaled and blogged throughout this period and you can read more about it here.